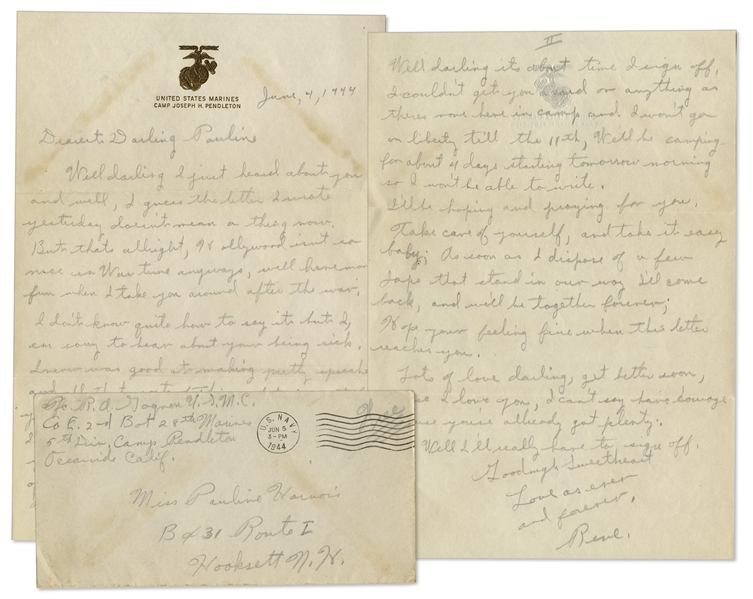 Rene Gagnon WWII autograph letter signed as a Private First Class in the U.S. Marine Corps. Gagnon was one of the six soldiers pictured in ''Raising The Flag on Iwo Jima'', the iconic image of the turning point of the war and one of the most famous photographs of all time. 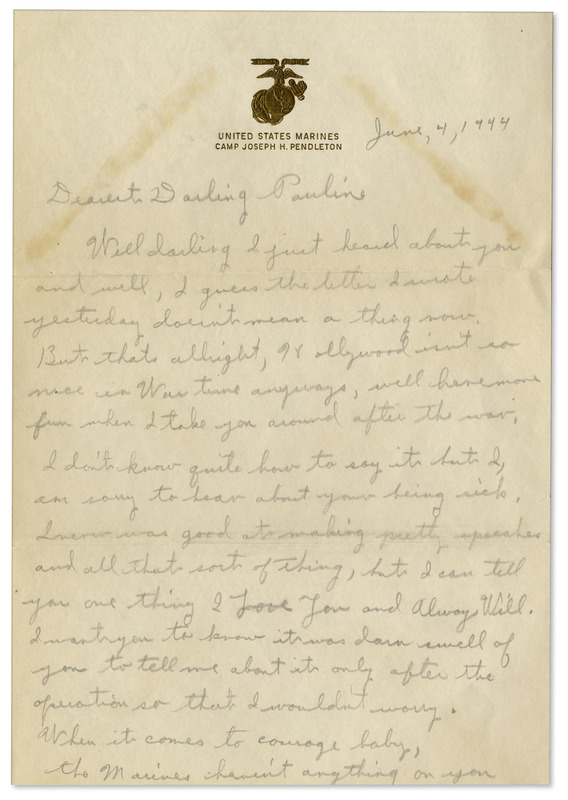 From Camp Pendleton in Oceanside, California he writes a love letter to his future wife Pauline Harnois. 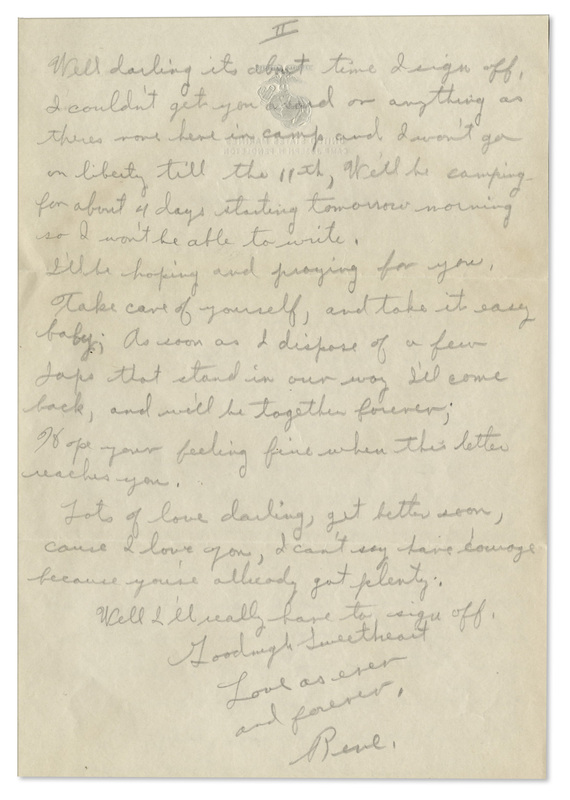 Dated 4 June 1944, letter reads in part, ''...Hollywood isn't so nice in Wartime anyways, we'll have more fun when I take you around after the war...darn swell of you to tell me about [your illness] only after the operation so that I wouldn't worry. 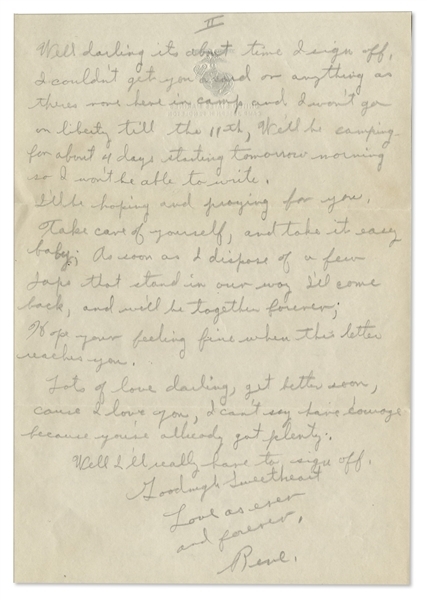 When it comes to courage baby, the Marines haven't anything on you...We'll be camping for about 4 days starting tomorrow morning...Rene''. 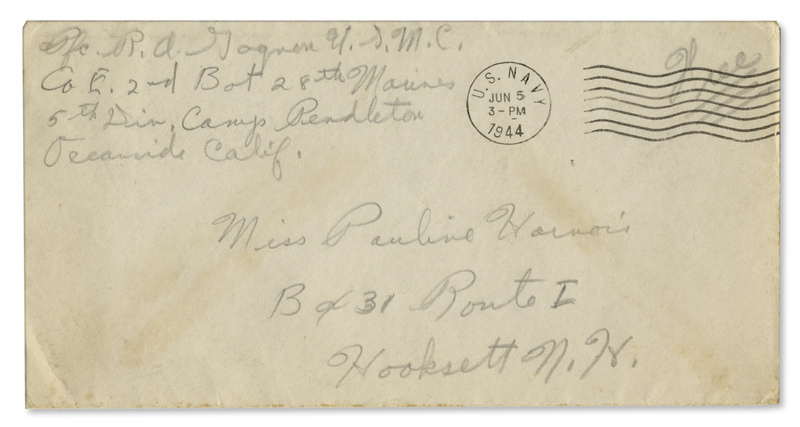 Accompanied by the mailing envelope made out in Gagnon's hand in pencil, including his name and return address. Letter in pencil runs 2pp. on a single sheet of Camp Pendleton Marine Corps stationery with gilt logo, measuring 7.25'' x 10.5''. Toning and creasing, else near fine.